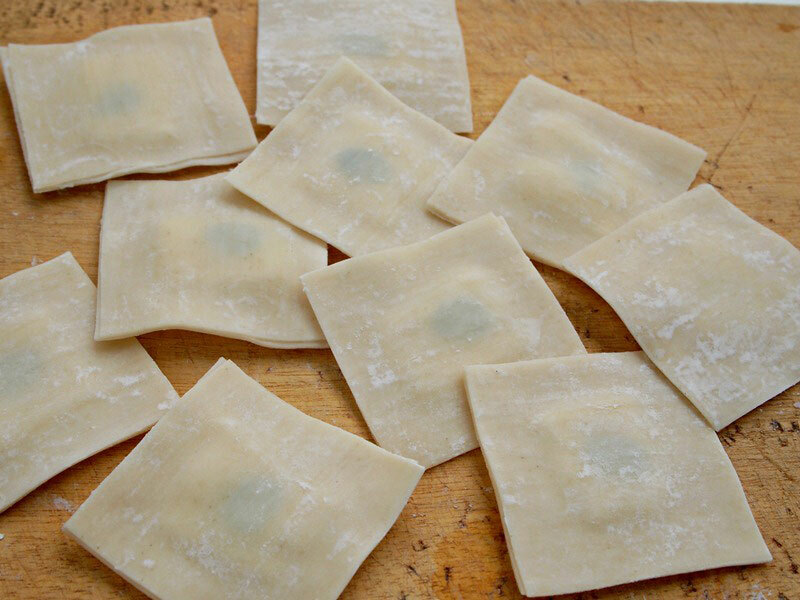 A few days ago I bought some wonton wraps to make a sweet recipe, and as tends to be the case, I was left with several leftover wonton slices. 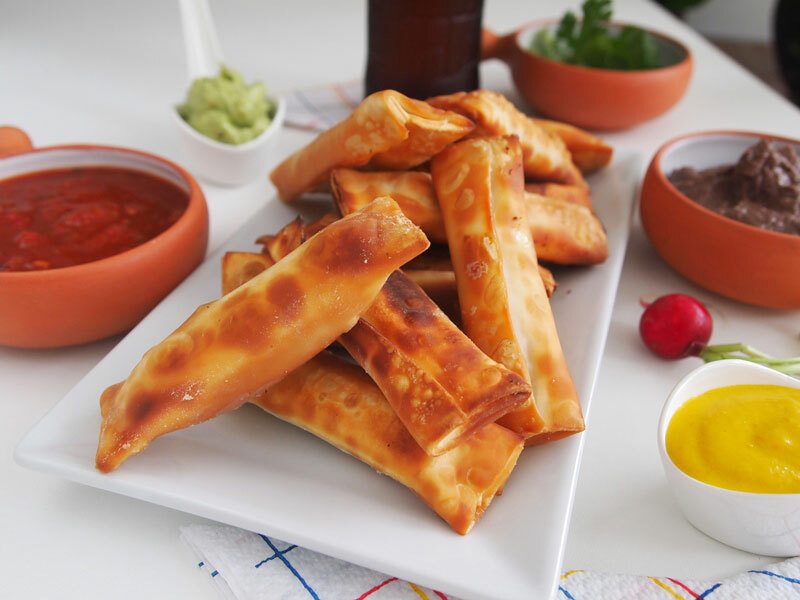 I first wasn´t sure how to use them, but then I realized I had cheese and avocados in the fridge, and thought about one of my favorite hors d´oeuvre: tequeños. 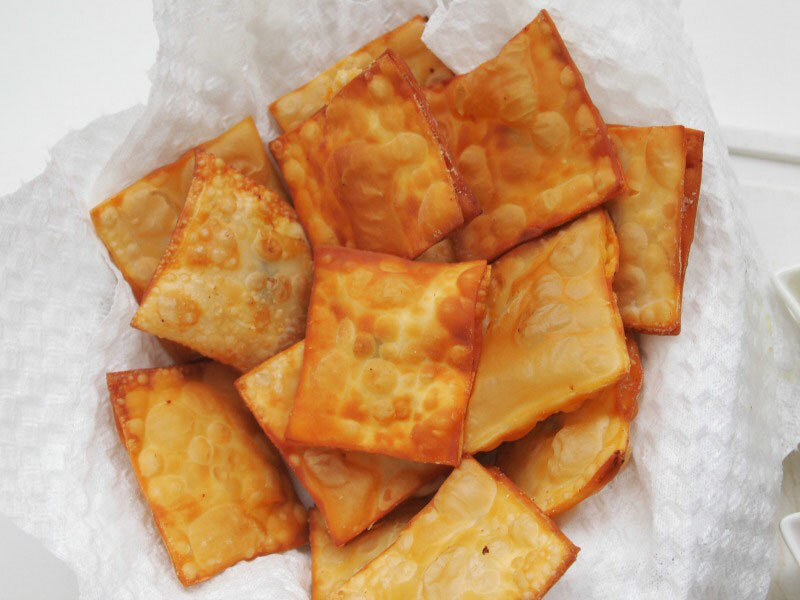 This inspired me to create this original fried cheesy squares using the same ingredients, and a few minutes later these crispy bites were ready. I simply filled each square with a piece of cheese and an oregano leaf, then fried them until golden. What could be easier than this? Next time you have friends coming over and are stressing about what to serve, try this recipe out. I guarantee that every single person will love them. You can make them in advance and keep them in a tightly sealed container in the fridge, but don’t fry them till it’s time to serve them unless you want them to become soggy and lose all their charm. 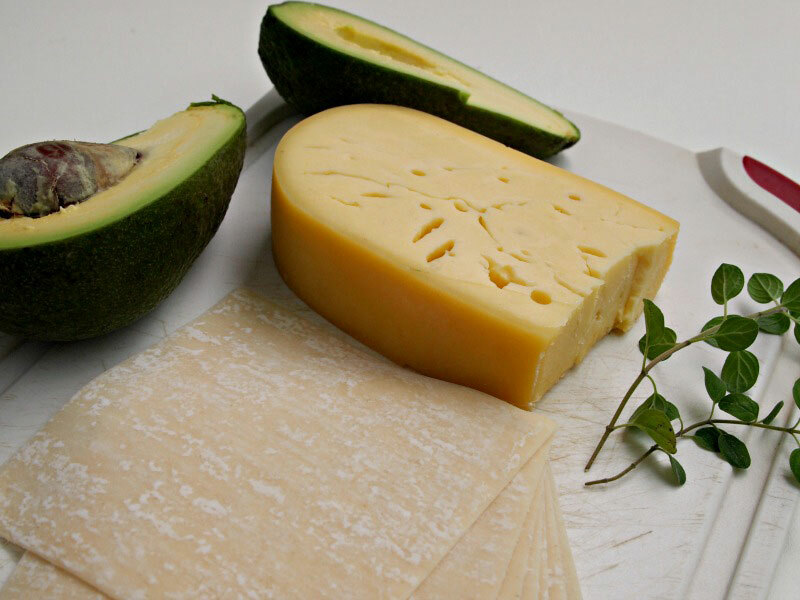 Serve these squares with regular guacamole or with a simple cream of avocado, mayo, and lime juice. 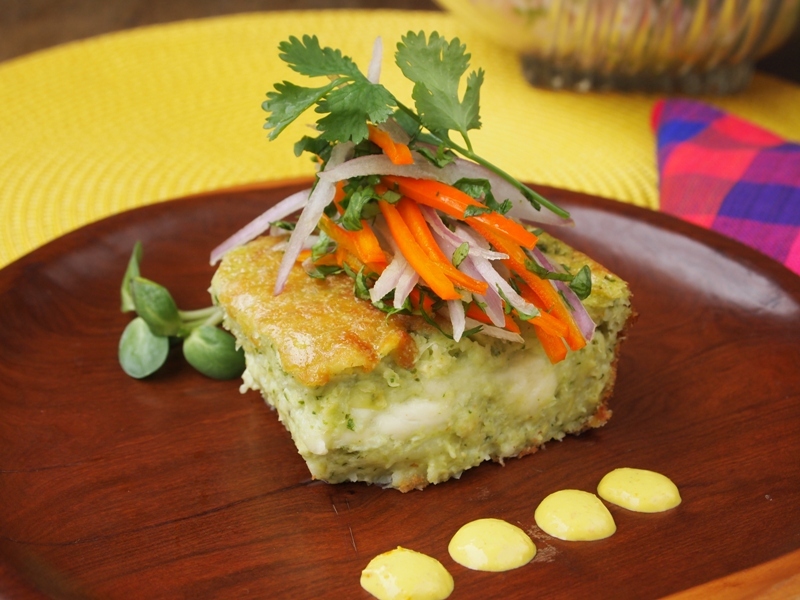 Or serve them with salsa Golf (mayo with ketchup), with aji amarillo sauce, or salsa huancaina. 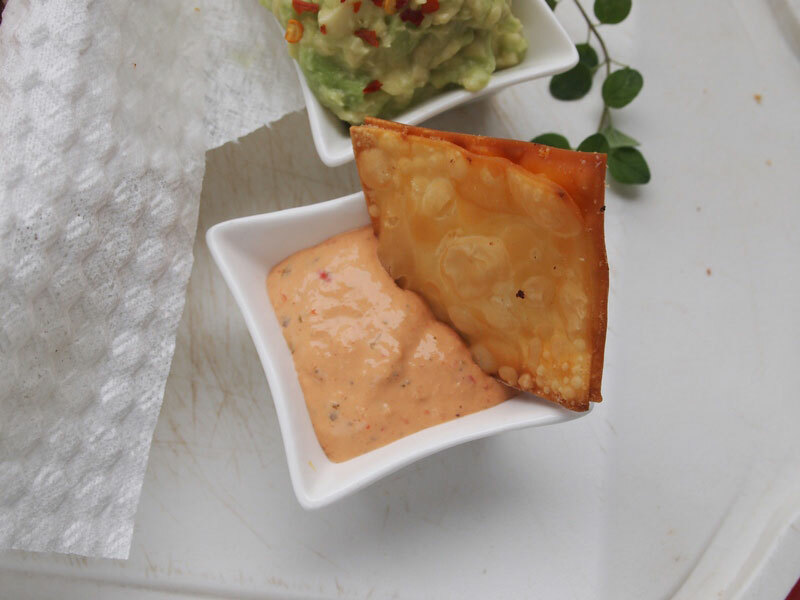 Put the wonton wraps and the cheese on a cutting board and cut each one in four squares. 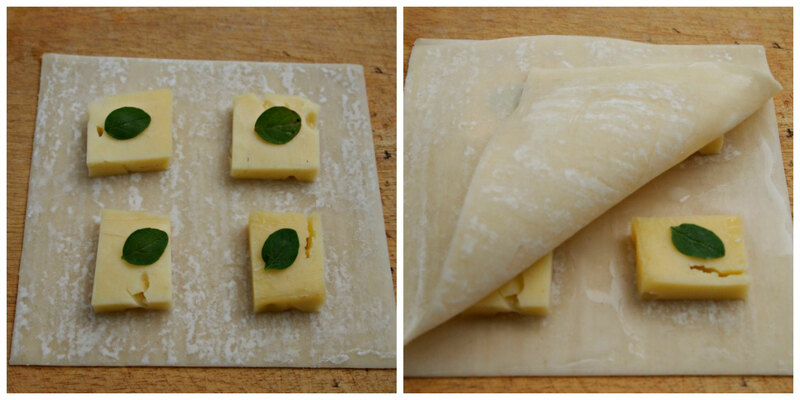 Sandwich each cheese piece between two pieces of wonton wraps, adding an oregano leaf on top of the cheese. Lightly wet the borders of each square with your fingertip, and press to seal. Heat ½ cup of vegetable oil in a skillet over medium heat. 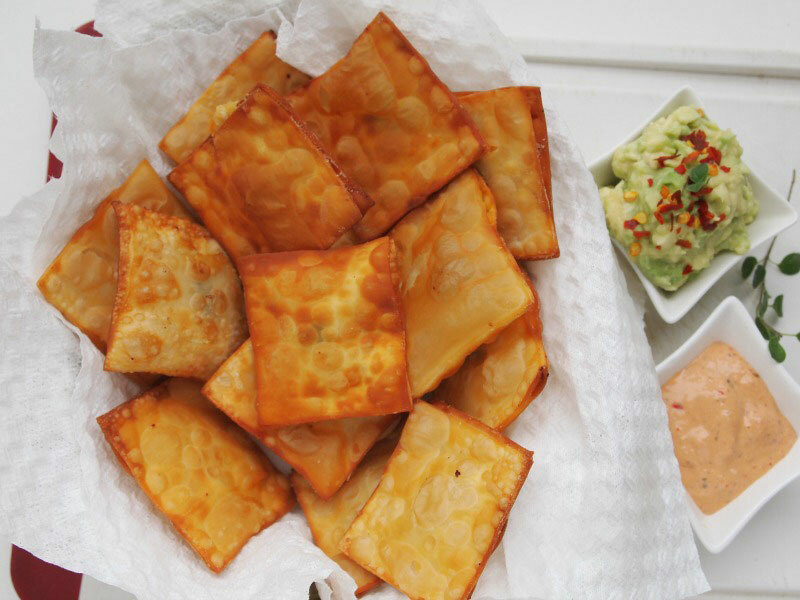 Fry the squares until golden brown. Transfer to a plate lined with paper towels. 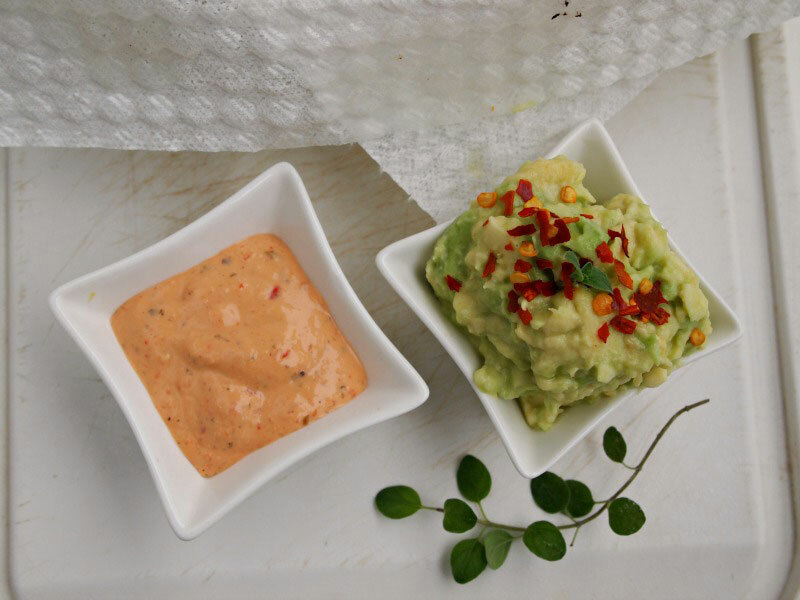 Serve immediately with guacamole and aji sauce. I used a Peruvian cheese similar to Gruyere. Good! Thanks for stopping by. Can you please let me know which Peruvian cheese you used? 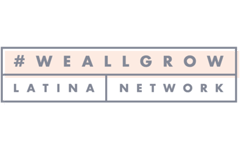 Hi Nathalie, you can try with any salty cheese, I like it with Queso Fresco!